Hello, and welcome to Episode 8 of the Planning Period Podcast. Thank you all for joining me so far, and to all my new listeners this week, hey! On this week’s episode, I interview Allison Keskimaki (and don’t worry, I’ll butcher that even worse in the episode). 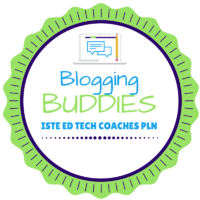 She is the Technology Integration Specialist for the Lansing School District in Lansing Michigan, and also co-host of the Lansing EdTech Podcast. I met Allison at ISTE this year, where her and her co-host Eric Spicer presented a session on Podcasting, Vodcasting, and Vlogging. I liked their session a lot, and afterwards I met with them and asked them to join me (I hope to have Eric on in a future episode). 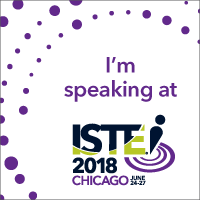 If you’re interested in the details of their ISTE session, here is a link to the blog post I wrote up summarizing it. Allison and I talked a lot about paradigms, and specifically how many changes in them we need in education. We touch on student-centered learning, student choice, artifact creation, and how even professional development models need to be changed. You can connect with Allison on twitter @AllisonKEDU. Also, if you’d like to be a guest on The Planning Period Podcast, hit me up on twitter. DMs are open, so slide on in. I have a new announcement I’m pretty excited about. 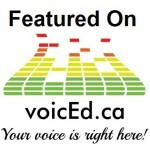 As of a week ago, Planning Period Podcast is now featured on the VoicEd.ca Radio Channel. It gives a new audience to the show, and also gives me a space to do some new things. So keep an eye out for announcements on my twitter and website for some of the ideas I may be bringing there. Thanks to Stephen Hurley for having my show on the network. Remember, we are on an ever-other-week schedule through the rest of July and beginning of August, so my next episode will release on July 28th. In the meantime, enjoy your summers!